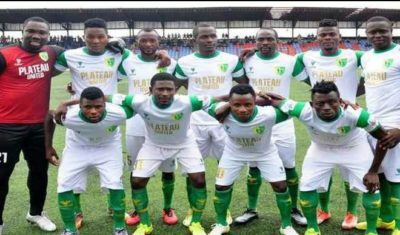 Plateau United FC of Jos win 2016/2017 Nigeria Professional Football League (NPFL), their first-ever win, after amassing 66 points from 38matches. History was made either in Jos this Saturday where Plateau United emerged as champions of the Nigeria Professional Football League for the 2016/17 season. The 2016/2017 NPFL season had seen the possibility of Plateau United or MFM FC clinching the title. It had been a remarkable year for both teams who were gunning for their first ever league title. While Plateau United are playing in front of their fans in Jos, the task was a bit harder for the Olukoya Boys who were several miles away in Maiduguri to face El-Kanemi Warriors.